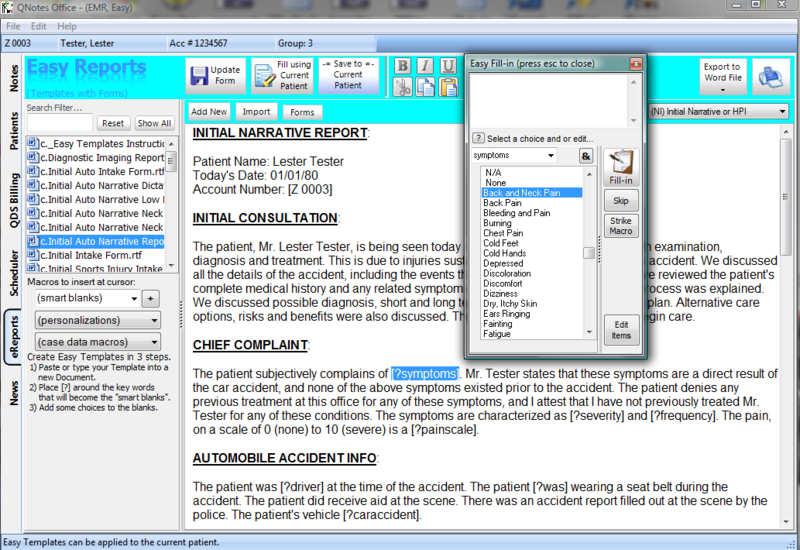 Easy Reports is a powerful Report Writer module that can be added to the QNotes Office Version 5.0 Solution. Easy Reports includes a library of your favorite document templates, along with tools to help you create and complete these commonly-used documents. 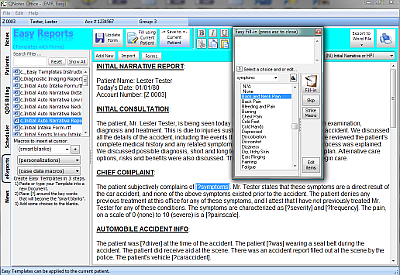 Use our sample documents, or ones you have used in your word processor for years, to create a library of your favorites. Although QNotes Office V5 includes the basic Easy Reports Starter version, it is the powerful and customizable Easy Reports Advanced that includes all of the updated and improved templates, screens and features. These versatile templates are text based documents that have macros that auto fill-in along with special smart blanks that automate the process of filling in the blanks with custom data. Easy Reports Advanced has enhancements for Voice Recognition, so you can use your favorite voice dictation software with QNotes Office. Easy Reports Advanced will be adding new Easy Forms in the coming months, a free update that will include additional templates and a set of "screen forms". 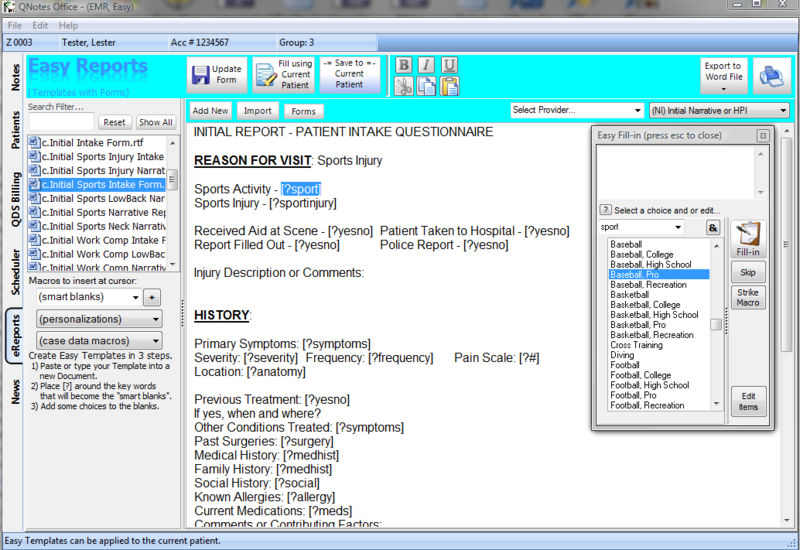 These point-and-click screen forms are great for documenting Patient HPI, ROS, Comprehensive Exams and other check off type information to complete your Narrative Reports. These forms will send their data to the template as it is filled in. Details on adding Easy Forms and custom forms will be available in mid-2013. Easy Reports Advanced is very affordable, and of course, just like all Quick Notes products, it is "easy, fast and gets the job done"!